Home Camping Styles How To Overcome Myths Of First-Time Camping? How To Overcome Myths Of First-Time Camping? Do you want to explore nature? Then the most relevant method is to go on for camping! But, when apprentice campers or beginners try to know about camping, many worry about the different aspects in camping and give-up the idea to camp. 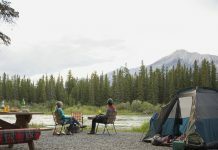 When it comes to camping, many beginners have their own myths and fears about the camping process. Camping brings close to the simplicity and greatness of nature. The main cause of camping is to improve awareness of the surroundings and to refresh yourself from the concrete jungles. You can learn many things on your first trip of camping. Campers have many myths and fears while going on the first campout. Many fear that camping is very expensive and is a burden for their financial status. But the truth is camping is simple and very inexpensive. You need not buy costly items for making your camping gear complete. Many household articles and items make your camping gear complete. So, you need not spend much in buying the camping gears. What if I am not an outdoor freak? You need not be an outdoor freak to enjoy the benefits of the camping. Even though camping is an outdoor activity, indoor lovers can also enjoy camping. You need not be a camping club member or a camping freak to enjoy a successful campout. Even the worst outdoor lover will enjoy fresh air and the sight of the pleasant nature around them. Sophisticated camping gear will vitalize everyone and make the camping experience awesome. Do not worry that camping is only suited for outdoor freaks and people who love indoors cannot make much of the outdoor camping. Is camping too expensive? Do you find anything free in the world around you? Nothing comes to you at free of cost. But refreshment from camping does not cost you much and empty your pockets. 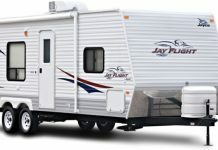 Many campgrounds charges nominal costs for camping in their grounds. The most costly part of camping is spending on the camping gear. 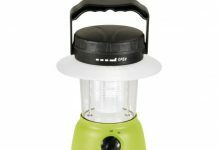 Once you buy high quality camping gears, you need not spend unnecessary money on the gears. 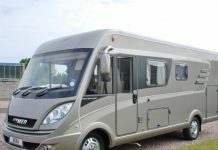 If you buy cheap camping gears, then you should regularly spend money on the repairs of the camping gears. This will make you feel that you are spending too much on the gears and will empty your pockets too. Spending too much on anything will kill your interest. Camping will not demand much amounts, but if you are not careful you can end up spending much amounts on camping. Know the perfect camping equipments: Before heading for the camping ground, know the necessary items which are to be included in the camping gear. If you forget the necessary camping gears and recognize after you arrive at the campground, you will be the sufferer of your negligence and automatically you should adjust. Adjusting in a new place is very weird for any one. So, see that you properly pack all the necessary camping gears for avoiding the negative feeling on camping. Camping is boring for kids? This is the worst myth that any one can come across. You have several options to entertain your kids while camping in a new place. Camping can be entertaining as well as educational. So, there is no chance that kids will be bored in your campout. But be sure that you include items which are interesting to the kids in the camping gear.